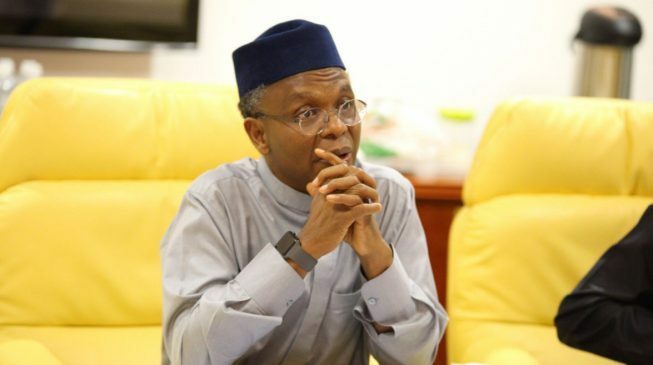 Following a meeting held in Kafanchan, Jamaâ€™a Local Government Area of Kaduna State, a Southern Kaduna political summit group has told politicians from the zone who intend to represent them at various positions to be up and doing to safeguard the property and lives of the people if they are voted into power. They alleged that the current political leaders representing them at different levels are akin to toothless bull dogs that have failed to protect them from attackers and intruders in their communities. This was contained in a communique issued at the end of the summit which was signed by the convener and former legal adviser to PDP, Mr. Mark Jacob, and the secretary, Simon Reef Musa. Also, politicians across political party lines, including Peopleâ€™s Democratic Party (PDP), All Progressives Congress (APC), Social Democratic Party (SDP), Peoples Redemption Party (PRP), Young Progressives Party (YPP) were present on the occasion. Critical stakeholders, including intellectuals, religious and community leaders, were present as well. The summit frowned at the alleged bastardisation of traditional institutions in southern Kaduna, and noted that, â€œour traditional institution that is the symbol of our various ethnic identities must be respected by any party seeking our votes. The summit condemns the assault on our monarchs since 2016 that culminated into the killings of two revered chiefs. The communique read in parts: â€œThe summit laments the poor quality of our representations by most of our elected representatives, and declares that henceforth, the silence of our parliamentarians, both at the national and state levels, should never be tolerated. The meeting calls on the electorate to either â€˜rewardâ€™ or â€˜punishâ€™ these elected representatives at the forthcoming polls on the basis of their performances. The summit agrees that never again will elected representatives go unassessed, on the basis of identifiable common interest as captured in the templates detailing key interests of our people. â€œWhile the meeting condemns the silence of elected representatives on challenges militating against the people, the meeting also notes that henceforth, those who seek to represent our people must be willing to always speak up and must not remain silent. Apart from that, political representatives should at all times represent the interests of the people through engaging them by seeking their views for effective representations. â€œConsidering the fact that all human beings, including politicians, are driven by self-interests, the summit declares that elected representatives should place the interests of Southern Kaduna far above their own personal interests and strive at all times to work towards the realisation of these interest. In view of the need to engender collaboration for effective growth, the summit encourages politicians from various parties to build bridges and build alliances across other areas of the state for fruitful relationship. â€œAfter an exhaustive deliberation on the appalling experience as captured in various presentations by the distinguished speakers, the summit identifies key common interests crucial for the survival of the Southern Kaduna people. The meeting resolves that these interests should serve as templates to determine our support for any party or candidate. First is the security of lives and property for the Southern Kaduna people. For any party or candidate to attract our support, they need to ensure our security is non-negotiable. The right of the Southern Kaduna people to live and own their lands must not be tempered with, just as the marauding attackers that have reduced our communities and turn our area into zone of bloodshed and destruction must be finally dealt with. â€œThe Southern Kaduna summit is united in supporting any party that demonstrate a commitment to the realisation of the full potentials of our agricultural prospects through provision of financial support and attracting investment on ginger, among other viable sectors, for improving the financial status of our teeming farmers. The commitment by any political party to provide loans and other empowerment schemes for farmers to improve on their crop-yielding ventures in ginger, Irish potatoes, among others, and empowerment of our rural populace should serve as fulcrum of our support. â€œThe summit also called on wealthy Southern Kaduna sons and daughters to unite and work towards empowering younger people with economic empowerment and provide mentorship to young entrepreneurs for wealth creation. These wealthy people should also attract investments for effective partnership for our people to realise the potentials of the area. â€œThe summit notes that Southern Kaduna people will never support a party that has exploited and whipped up ethnic and religious fault lines to further divide the people. The summit declares its commitment to serve as an effective platform for assessing the scorecard of elected representatives based on the above stated key interest as agreed by the summit. â€œFor any party or candidate to gain the support of our people, the need for improved power supply through building new power stations should be an irrevocable commitment for the empowerment of the area. â€œAlthough the summit agrees that power has improved to some levels through the years since the advent of democracy, that need for improved power supply is imperative in order to promote the setting up of Small Medium Enterprises (SMEs) and other businesses for empowerment. Closely related to power is the need for road and health infrastructure that will improve the living conditions of the people. â€œThe summit calls for the setting up of a Federal Medical Centre in Kafanchan in order to provide improved healthcare for our people. The meeting also calls for the equipping of schools and employment of teachers, including stoppage of further discrimination against Southern Kaduna applicants seeking admissions into professional programmes like Medicine, Law, Pharmacy, among others, in universities that have Kaduna State as catchment state. â€œUnder chairmanship of Elder Ishaya Dare Akau, the summit took a critical look at various issues that have trailed the affairs of the area. The summit notes that Southern Kaduna is not united by ethnic and religious affiliations, but by shared common interests germane to development and survival. After exhaustive deliberations by stakeholders, the meeting resolved that the key interests of Southern Kaduna should be paramount basis for supporting any party or candidate in the forthcoming polls. â€œThe summit deplores the unprecedented suffering unleashed on Southern Kaduna under the APC-led government in the state, as shown in absence of infrastructural development, killings and other forms of insecurity that have ravaged the people.